What's New: Kevyn Aucoin, Tarte and Stila | Top Beauty Blog in the Philippines covering Makeup Reviews, Swatches, Skincare and More! 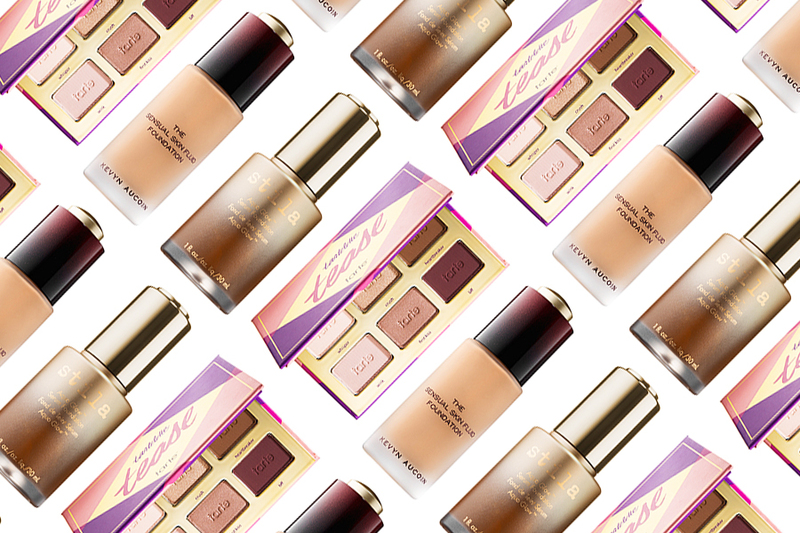 Three new great and exciting products from Kevyn Aucoin, Tarte and Stila worth giving a try . . .
Kevyn Aucoin The Sensual Skin Fluid Foundation $65.00 - The Sensual Skin Fluid Foundation’s weightless, serum-like formula goes on the complexion for a ‘no makeup’ feel. It’s infused with Pigmento Perfetto, a powerful marine based algae extract known to fight the production of progerin, a protein known to accelerate aging, encouraging loss of firmness, elasticity, and wrinkles. The foundation glides on seamlessly, providing smooth, luminous-looking skin with buildable coverage. Tarte Tartelette Tease $21.00 - Create amazing shadow looks with this clay-infused, pocket-perfect version of tarte’s bestselling Tartelette palette. It features four everyday matte shadows paired with two captivating lusters so you can refresh, define, and transition your eyes from day to evening. The flirty, flattering shades feature lid, crease, and highlight pairings so tartelettes can create modern, alluring looks without the guesswork. Powered by tarte’s signature Amazonian clay formula, these shadows offer the same pigmented payoff, blendability, and wear time as with the original tartelette palette, but in a chic, petite case. Stila Aqua Glow Serum Foundation $45.00 - This ionized water based foundation blends seamlessly to provide natural-looking, buildable-to-full coverage. Infused with an innovative Electrolyte Balance System comprised of ionized water, advanced hyaluronic acid, and essential minerals, the serum formula helps hydrate and nourish skin so that it glows with healthy-looking radiance. After 12 hours of continuous wear, skin is more hydrated. Highly refractive, multi-reflective pigments play with light to optically smooth skin and instantly reduce the appearance of imperfections, pores, fine lines, and wrinkles. Skin is left looking naturally radiant, not masked by heavy, opaque pigments. Curiosa del fondotinta, deve essere valido! I would like to try Kevin Aucoin foundation!!! Ooo that foundation sounds lovely! Il fondotinta deve essere grandioso!! Oh, nice. A bit pricey for me but I bet it's worth it. Stila foundation looks fantastic! I want to try it! That palette looks absolutely gorgeous! Fantastic products! I would like to try them. these foundations sound exciting! I am always crazy about foundations! lovely. KA is a great brand.